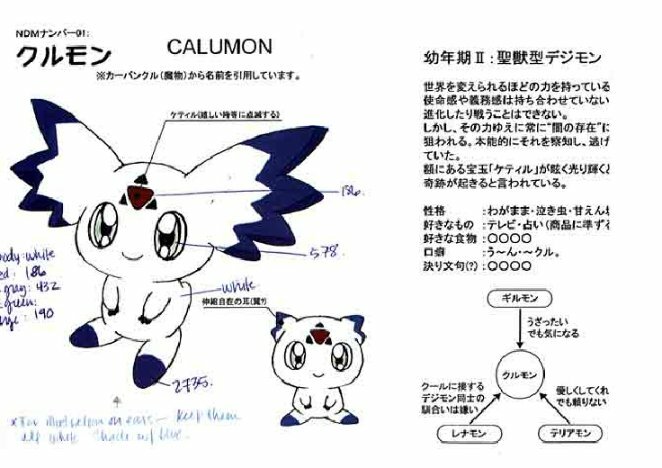 Difference between revisions of "Culumon"
Originally it was the entity responsible for the evolution of Digimon called Digi-Entelechy, but it was transformed into the form of Digimon by the power of the DigiGnomes. An enigmatic Digimon completely enveloped in mystery. It loves to play a lot. Wherever there is fun to be had it always appears from somewhere. On the other hand, it vanishes just as suddenly. It plays with Guilmon and friends, but exactly what Culumon usually does is not well known. Its manner of speech includes putting "kuru" at the end of words. Apparently it seems to be deeply involved in the evolution of Digimon...? An enigmatic Digimon with its body wrapped in mysteries. It loves to play a lot, and wherever there is fun to be had it always appears from somewhere. Its manner of speech includes putting "kuru" at the end of words. 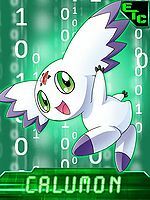 It is familiar with the parameters of Digimon and manages the evolution tree of DigiLab. 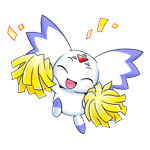 The force governing evolution called "Digi-Entelechy" that was transformed into a Digimon. 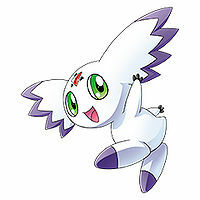 It is said that it has the power to promote the evolution of other Digimon. 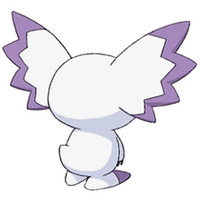 A small Digimon that does not evolve or attack, not seeming like a Digimon at all. It is rumored to have the ability to help the evolution of other Digimon. 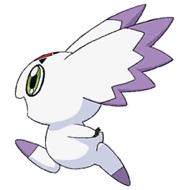 A corruption of kuru, from Kābankuru 「カーバンクル」, meaning "Carbuncle", a mythical creature that was allegedly sighted in Latin America which was said to have a shining jewel on its forehead. Anime/Manga Digimon Tamers: "Guilmon is Born! 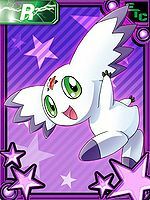 The Digimon that I Created"
Culumon no Inori  Culumon's Prayer クルモンの祈り Kurumon no Inori Heals an ally. ケテルフレアー Keteru Fureā Attacks with light. Culumon is a Digimon that can cause evolution. It was originally the Digi-Entelechy, but was changed into a Digimon to keep the D-Reaper from reawakening. 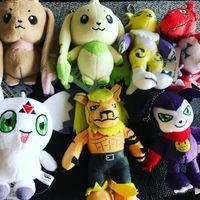 Culumon tags along with Takato and the others. When it appears they will be defeated by Gulfmon, he enables them to evolve to Perfect. Culumon is at Juri's house the whole time, helping to prepare for Ruki's birthday party. 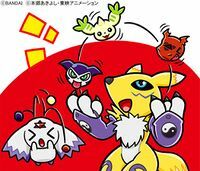 Culumon accompanies Agumon, Gaomon and Lalamon in the stroll through the Digital World. 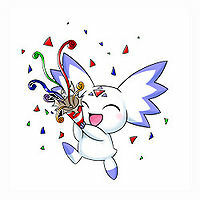 During the fight against Armagemon, Calumon uses its powers to seal the vortex created by the former. 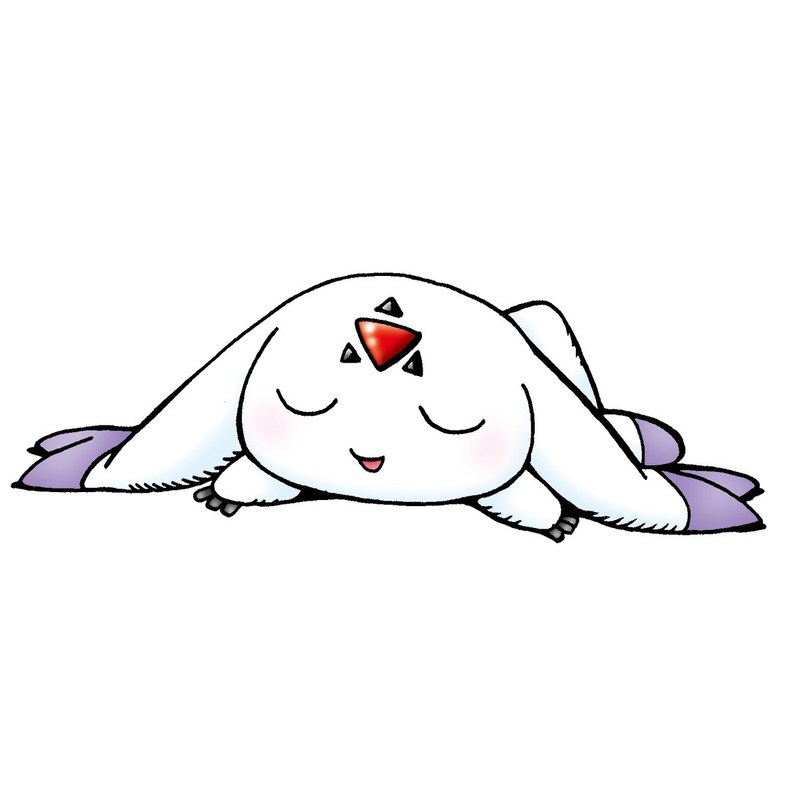 Culumon is one of the Digimon captured by Matadrmon to feed Breakdramon. 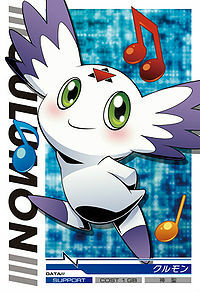 Culumon is the host and guide in the character and arena selection screens. Culumon is a Pet, it is obtained by buying cash or winning some event. It is also a NPC which gives out some quests. Culumon can only be seen in the card duel mini game. 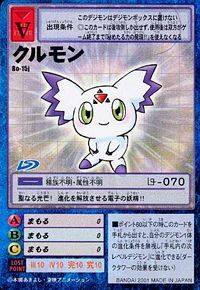 Player must pick the Culumon to get first turn at Start Phase, while Impmon card represents the second turn. Culumon appears in the "Crazy Chase" mini-game mode. 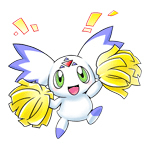 The Digimon can catch the Culumon to score. Culumon appears in the attacks table before the battle. 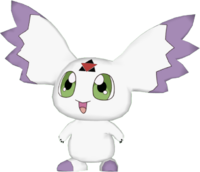 Appears during the beginning of the game, being chased by Goburimon at Data Forest, alongside with Gaomon, who normally works at the help desk in DigiCentral Tamer Office. After he gets rescued, he decides to work at your DigiFarm, giving you reports on how Digimon are doing in the farm, how many kilograms of food obtained, how well the farm goods worked, etc. Near the end of the game, Alphamon steals Culumon's energy, planning to use it to awaken Chronomon. After finishing the quest in which you face the Seven Great Demon Lords, you receive 100% data for Culumon. He is already at level 99, and has very high stats, but can't evolve. If you match two of them (or any other level 99 Digimon) together, you may get a DigiTama containing Dukemon Crimson Mode. You gain 100% data for Culumon after beating the Legend Tamer quest. Its traits focus on defense, and its moves focus on healing. Culumon can be found in DATS Center near Director Hashiba. 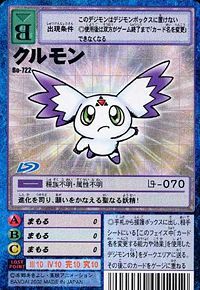 Culumon can only be obtained as a collectible card. 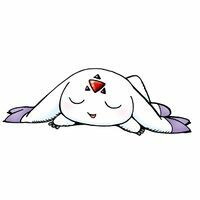 Culumon is available as a Digimon Medal. 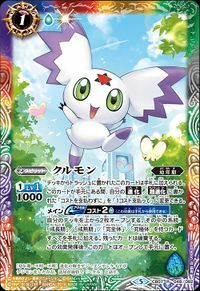 Culumon is available as a Digimon Card. This holy fairy grants wishes and administers evolution! A holy beam of light! An electric fairy who is the key to evolution!! 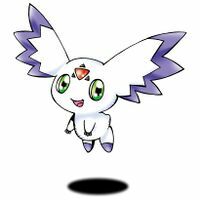 The Digi-Entelechy, a shining force that governs over the evolution of Digimon. It was transformed into a Digimon by the DigiGnomes, in answer to a plea to protect it by Qinglongmon. The light of evolution, the Digi-Entelechy, after being turned into a Digimon. It speaks in a unique way, ending its sentences with "culu".